Our Debit Card is a wonderful tool that lets you be in the driver’s seat. 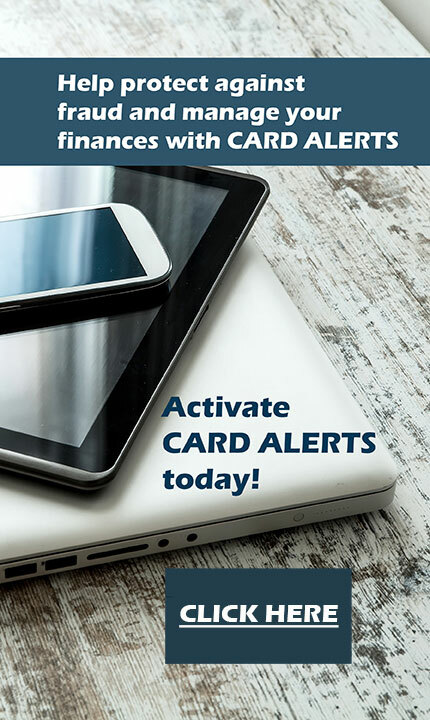 With 24/7 access to your bank accounts, the card allows you to make purchases at any merchant where major credit cards are accepted, on line and in person. It’s faster than writing a check! Come in to New Accounts and walk out with your instantly issued card today! To report a lost or stolen debit or ATM card, please call 1-800-523-4175. For after hours customer support please call 1-800-327-8622. In an effort to reduce the large volume of fraudulent activity being generated on Debit Cards, we have chosen to block signature-based transactions in certain Countries, States, Cities, etc. If you plan to travel, please contact the Bank before your departure to ensure that you will be able to use your card during your travels. Please remember, you will always be able to use your card as a Debit Transaction by entering your Personal Identification Number (PIN). The Citizens Bank of Clovis now has real-rime balances and real-time transfers with our new 24-Hour Telephone Banking product! Access your account 24 hours a day 7 days a week and have the confidence of knowing your balances up to the minute and at your fingertips. You can retrieve the history of deposits and withdrawals on checking and savings accounts, loan information and much, much more. Try it and see what the excitement is about! Call 1-888-871-2262 Toll Free or (575)762-2262 to get set up. If you have any questions or need help in setting up your access, please call Beverly Russell at 575-742-3826. 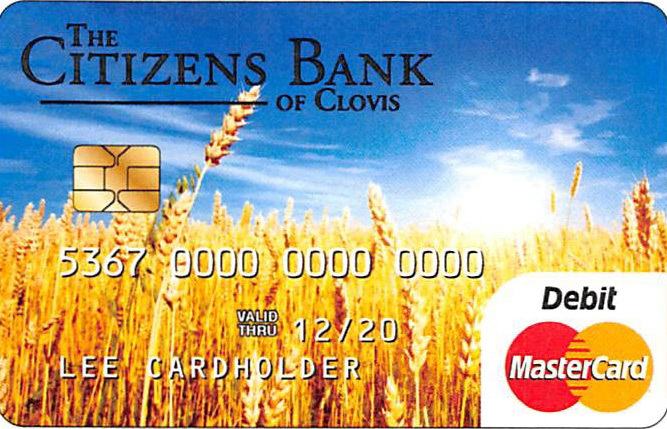 Overdrafts and overdraft fees are no fun, and The Citizens Bank of Clovis offers protection for you. By attaching another Citizens Bank account to your checking, such as a savings account or MMDA, the money can be transferred to cover the account in the event of an overdraft. Another way to set up protection is to add your Visa, Mastercard, or Discover credit card to the account so that a cash advance can be made to cover the overdraft. The cost of these services is $ 5.00 per transaction and a current valid I.D. must be on file. Please call 575-769-1911 or come in and talk to one of our New Accounts representatives. Our full service Trust Department has been in operation since 1956 and still operates under its original philosophy that a relationship is valuable and that trust still means certainty. We have added new services and revised old ones since that time, but our goal has remained constant- we plan to take care of the trust you place in us. Contact our Trust Officer at (575) 769-1911 Ext. 138 for any trust services you may need. In addition to our Travel Card, we now offer Gift Cards to our existing customers. To purchase, please come in and talk to one of our New Accounts representatives, or call 575-769-1911 for more information. Improves speed and accuracy in the capture process and results in major savings in data entry/processing time, and error reduction. Provides quick and accurate processing of your deposits from your desktop. Highly flexible to support any payment volume, from small single users to large payment processing environments. All data transmission is preformed via a secure web-based system. Remote Deposit Capture allows easy integration with the variety of scanners we have available, delivering accurate and timely captured check images and data..
Make deposits when it’s most convenient for YOU! Remote Deposit Capture is a web-based solution that processes all types of paper items into electronic transactions or substitute checks, better known as Image Replacement Documents (IRDs), all through a single point of entry system at your place of business. With Remote Deposit Capture, you can continue to accept customers’ paper check payments, either at your business location or via the U.S. mail. You can then electronically process and deposit checks without having to leave your office. Scan, process and deposit all types of paper transactions at your business location using a check scanner. The checks will be imaged and the data will be transmitted resulting in an electronic deposit into your bank account. It’s Simple. Everything is done in your business environment with no need to visit the bank. All you need is a personal computer, internet access, and a scanner. Run the checks through the scanner and watch each paper check convert into an electronic image, and into an electronic deposit. Our technology seamlessly captures accurate check images and MICR data information into electronic data fields, alleviating manual data entry work for you or your staff. To learn more about Remote Deposit Capture or to arrange a web demo, contact our New Accounts personnel.